Can a Simple Blood Test Detect a Concussion? North Jersey Orthopaedic & Sports Medicine Institute Blog Can a Simple Blood Test Detect a Concussion? In recent years, concern has mounted about the long-term effects of concussions, especially for athletes who may suffer multiple such injuries over the course of their career. Studies have shown long-term decreases in IQ caused by concussions, which can result in lowered scholastic achievement in students who also play sports. 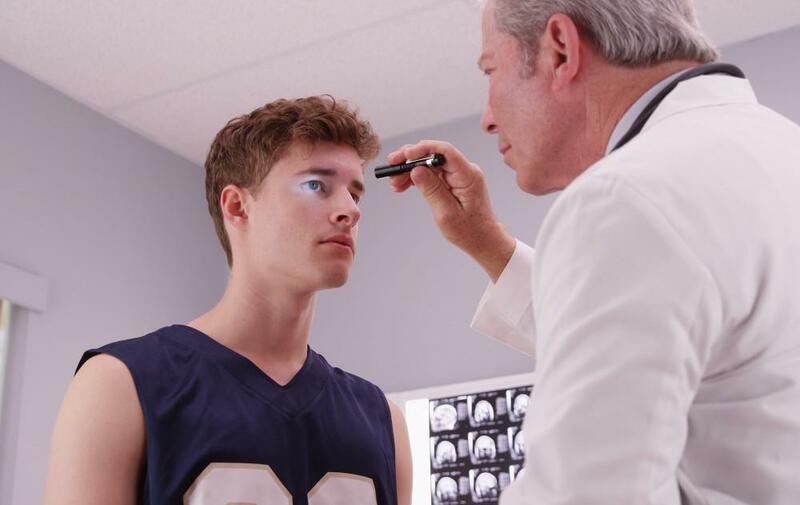 To mitigate the possibility of long-term damage, it’s important to detect concussions quickly, and ensure that they’re fully healed before a player returns to the game. But too often, doctors fail to diagnose a concussion. Because some symptoms don’t show until hours or even days after the initial injury, researchers are currently trying to find faster, more accurate ways to detect them. One possible option is a blood test. In the past, scientists dismissed this possibility, believing that concussion markers didn’t pass through the blood-brain barrier. But recent research has shown that there are numerous blood proteins that can indicate a concussion. Although further study is needed, some options being examined have shown an accuracy rating from 90% to as high as 97%! Not only are these tests quicker and more accurate than waiting for symptoms to reveal themselves, but there’s hope that they can be made portable – the goal is to have a hand-held blood testing device that could be used on the sidelines at a game, or even given to field medics deployed alongside our troops. Ideally, this technology will not only allow doctors to diagnosis a concussion, but also to check whether the injury is fully healed after the initial symptoms have faded. As a sports medicine clinic, we’re cautiously optimistic about this research and excited to see where it goes in the future. We hope to someday be able to offer this blood test to our own patients! Remember, a concussion is a serious medical condition. If you suspect that you or your child has suffered one, please consult with a doctor immediately. For more information about concussion diagnosis and treatment, you can contact the offices of Dr. Russonella and the North Jersey Orthopedic and Sports Medicine Institute at 855-777-8362, or by emailing info@orthopedicnewjersey.com.